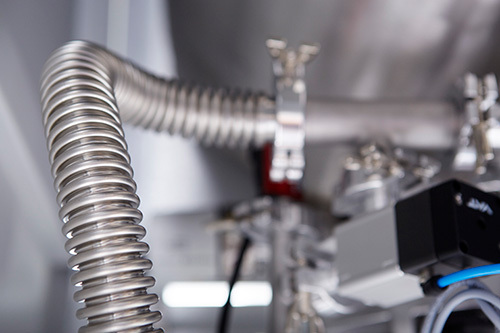 Super Insulated Vacuum Lines (SIVL) are widely used in the Food, Electronic and Pharmaceutical Industries. SIVL manufacturers recommend that the line sections and joints should be re-evacuated every 3 to 5 years in order to maintain an efficient vacuum insulation. Failure to do this will result in increased ‘boil off’ of liquid nitrogen, with the associated increase in consumption and cost, and cause 'cold spots' to appear as ice on the outside of the lines. WTSL have over 20 years experience in the servicing of SIVL's. We offer a free site visit to assess the service work required. West Technology can offer a comprehensive repumping service for all leading SIVL manufacturer’s and we would be pleased to carryout a site inspection and provide a quotation.